My boyfriend was playing that game last night. Hahaha. Deja Vu? Guess which one has more plastic in them? I don't see it. The clothes are similar colors, as is the skintone, and their hair is not dissimilar, but there is absolutely no facial resemblance. Maybe a slight similarity in the shape of the lips? But that's a stretch. 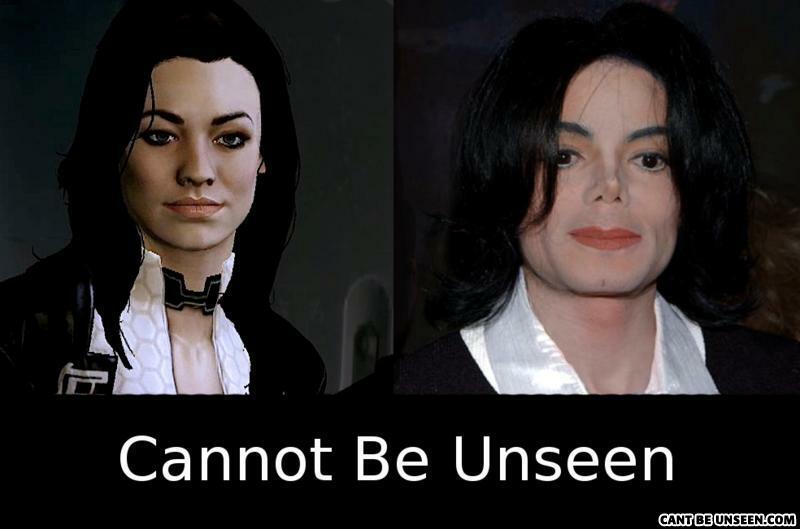 Her name is Miranda Lawson(Mass Effect 2 Character), Miranda is modeled and voiced after Yvonne Strahovski, so you are all right that shes from Chuck. who's the chick on the right? why did the chair brake? because a car smashed into it. all the way to china. Woman: WHAT DO YOU MEAN DONKEYHOLE!?!?!?! Shut up with all your terrible banter!! !